OrthoGraph is the force. The force, which is given to building surveyors to do their work in an easy, fast and accurate way. As we stand in the right side of the Force, we were toying with the idea of making a detailed survey in OrthoGraph on the worn-out Millenium Falcon. How would OrthoGraph make the whole renovation process of the starship easier? 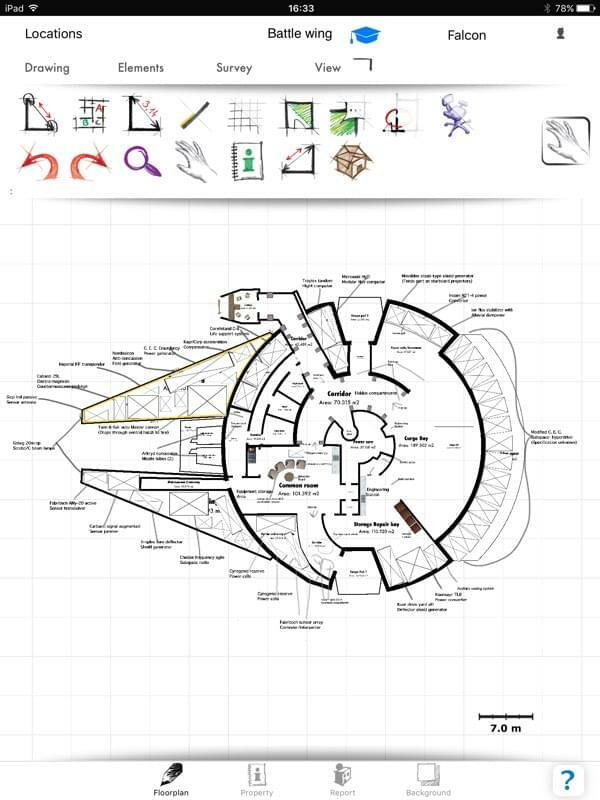 How can the rebels spare time by using OrthoGraph, if they need to have a quick and professional solution to make the starship prepared for the next mission? A detailed survey is always needed for every reconstruction. It helps to get every data what is has to be known for an accurate and professional work. Now let’s see, is OrthoGraph absolutely ready for all hard challenges? We know that Han Solo loves his starship, so he would seek the best and most accurate solutions if he wanted to renovate it. Let’s see how would OrthoGraph work if it were used in a galaxy far away! If we look at the starship, we find that it has huge and difficultly shaped areas – for example there are a lot of curved walls, niches and unusual solutions to separate different places, as it is the case with the cargo bay, storage repair bay etc. – which can cause some troubles during a survey. How could the surveyor team cope with these difficulties by using OrthoGraph? As Millenium Falcon is a huge construction, it would be quicker to make the survey in a team. Then the rebels could spare time, which is a very important aspect especially because the Empire may strike anytime. To make teamwork possible, the surveyor team should use the OrthoGraph Cloud Services, which allows teamwork function for more people to work on the same project, and merge the survey results into one floorplan. 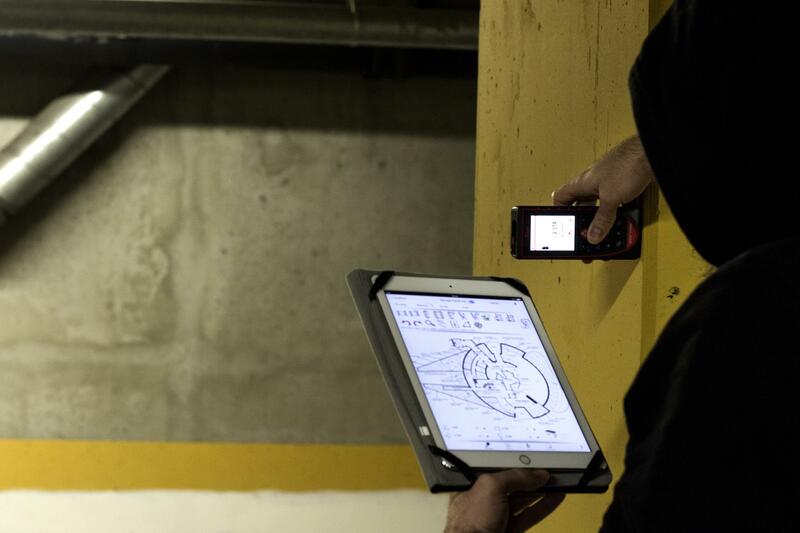 Now it’s time for the team to grab their iPads to take a tour around the starship and map it. More often than not, the team would find narrow, difficultly shaped spaces, where it’s not always easy to decide where the one location ends, and the next location starts. 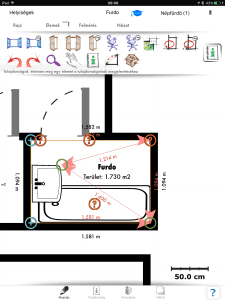 So it’s recommended to sketch and measure the locations separately and merge them through the openings or walls. This could be done even if the rooms to be merged are being drafted by separate members of the team. If the rebels made the survey in team, one should start from the Power core, one from the Cargo Bay and one from the Storage Repair bay. Now we’re following the survey, which would start in the Power core. First, the outlay of the room should be sketched. OrthoGraph uses automatically straight lines, so after making the basic sketch, the surveyor could make the floor plan more detailed by bending segments and moving corners. 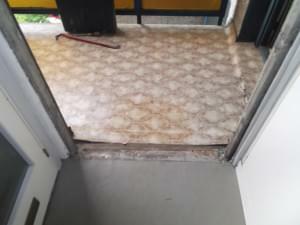 After that, the surveyor should make the base measurements –it’s recommended to start with the straight lines. 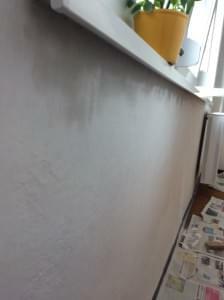 Then, the surveyor can continue with the measurement of bent walls and diagonals. In order make the work even faster and accurate, let’s bring in sci-fi technology; the surveyor can use a compatible Bosch or Leica laser distance meter. 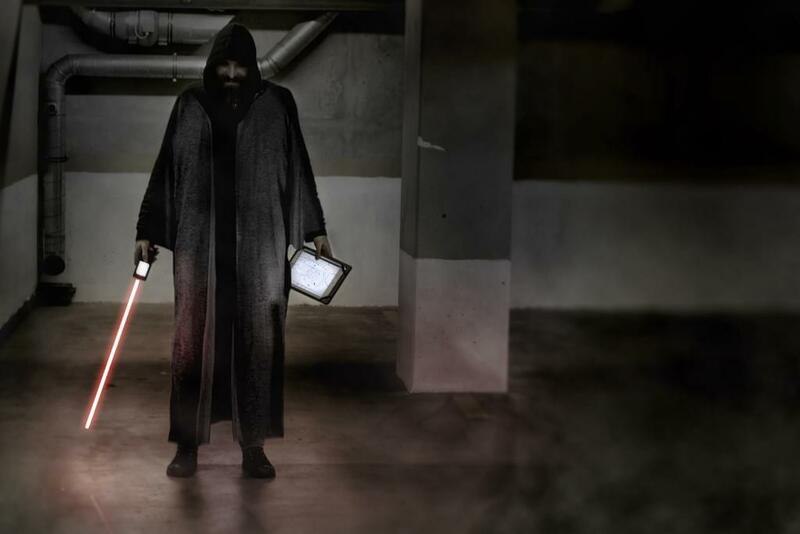 We know that laser gadgets are popular in this galaxy anyway. If a wall section has too difficult shape, it’s recommended to put survey stickers on it to mark measurement points – it could also help the surveyor to manage accurate work. The measured data will be transferred via Bluetooth to OrthoGraph directly and the floor plan will update instantly according to these data. There is no furniture in the Power Core, so it’s not necessary to add one, it’s enough just place a doorway/portal to the suitable place with the right parameters. After having a completed floor plan about this room, the surveyor can make photos about anything, which needs to be surveyed. Finally, he can add labels to make comments and annotations. If the surveyor wanted to see the plan in 3D, he could do it with the 3D view button. After finishing the Power Core, it’s recommended to continue the survey with the Common Room. It’s a huge place, so it’s worth to use the Measure During Sketch function. This means that the surveyor draws and measures the structures wall-by-wall, enabling to map out difficult shapes. It’s recommended to start the measurement with the straight walls, and then follow those steps, which were taken during the survey of the Power Core. A laser distance meter can be a great help here too, to get the accurate distance values. After making detailed measurements, setting wall lengths and thicknesses, the surveyor can place objects and set all their relevant properties; he can add labels and make a 3D walkthrough. 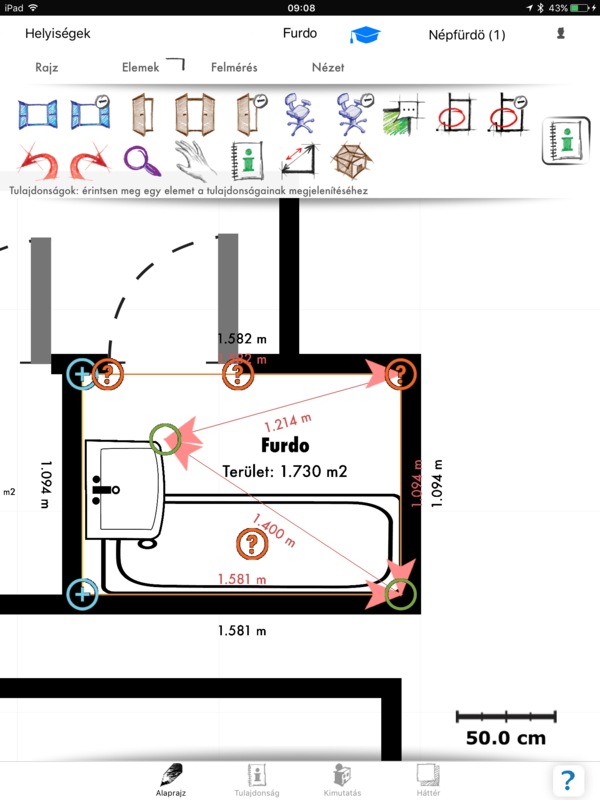 Then, the floor plan of Power Core and Common room has to be merged with the move location tool. With this function, you can join walls easily. The surveyor then gets a full report at the scene on values such as surface areas, perimeters, volume, etc. When all surveyors, who were involved in the project, finished their part of the work, they can see that all plans are merged locally with the file stored on the server. The rebels would be all happy, because they don’t have to redraw the plans after going back to the office and they won’t find any missing data or inaccuracies. 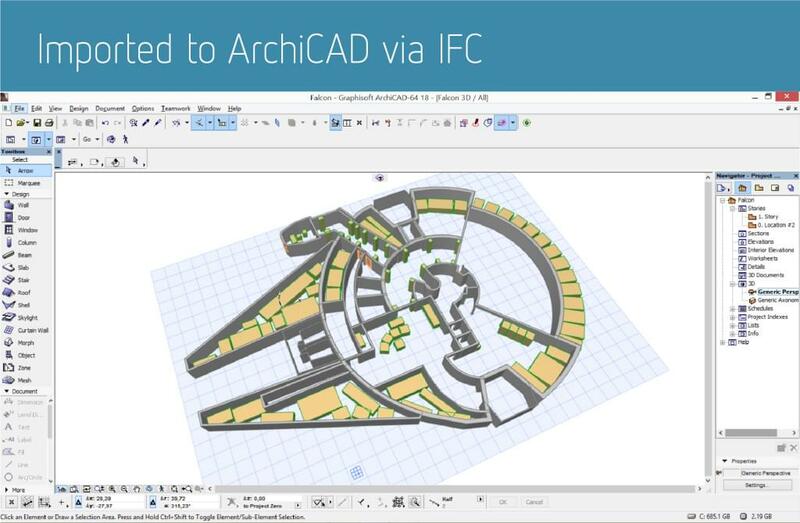 Also, they could export the complete work results only with a touch into different formats – IFC or DXF – that are compatible with most CAD programs of the galaxy. So, the mission was completed! The rebels have an accurate, detailed survey about the starship, and OrthoGraph proved that it could work well not only on Earth… but in other galaxy far away as well. 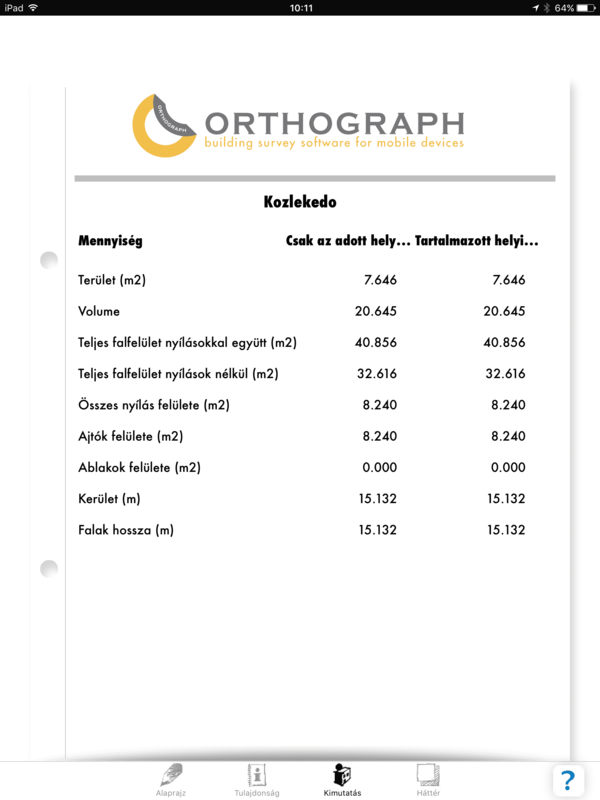 OrthoGraph is a handy tool for surveying, however, just all tools its use needs to be learnt. The purpose of this case study is to show the simple tricks and solutions that can overcome on some of the obstacles a survey project may have. 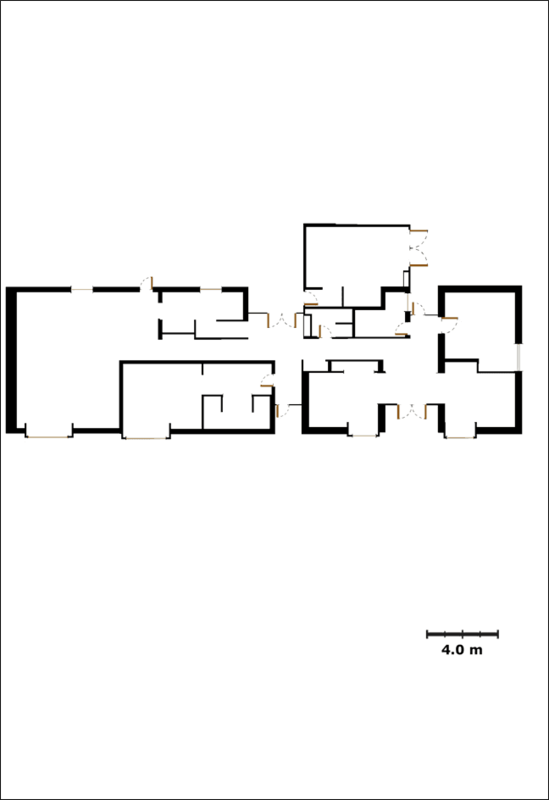 The selected floorplan was acquired from the internet and originally was used to test the capabilities of OrthoGraph. It’s free-standing arrangement of the wall structure and the floating function composition makes it a challenge to survey with any method. To simulate the proper conditions, instead of just simply tracing the plan, a 3D model was created where viewpoints were used to understand how much visual information is received on site. In the following pages, a detailed description of each method will be presented and discussed. The purpose of this study is to show how OrthoGraph can be used in situations that may not seem to be possible to draw, or the method what we need to use may not be obvious. Probably everybody who does surveys first takes a brief tour around the building they are about to map. It is a very important step as it gives an idea of the outline of the project that is about to be processed. However, it also sets the mind around the whole shape of the building that usually causes the first mistake people may commit. When drawing a room, people are likely to draw the load bearing walls first, or the ones that are more significant in the building. OrthoGraph, on the other hand, is a straightforward application. “What is seen is to be drawn“ and that means that we draw those surfaces first that we actually draw the visible surfaces that we actually see in the room. 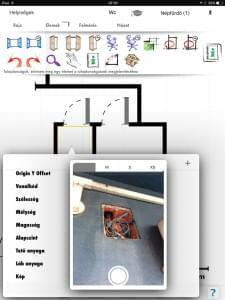 OrthoGraph’s sketch and tap feature is a very handy tool. It makes the drawing easier and more fluid, as the user just needs to draw rooms one after the other, merging them as they go. However, as all tools, it may malfunction if overburdened. 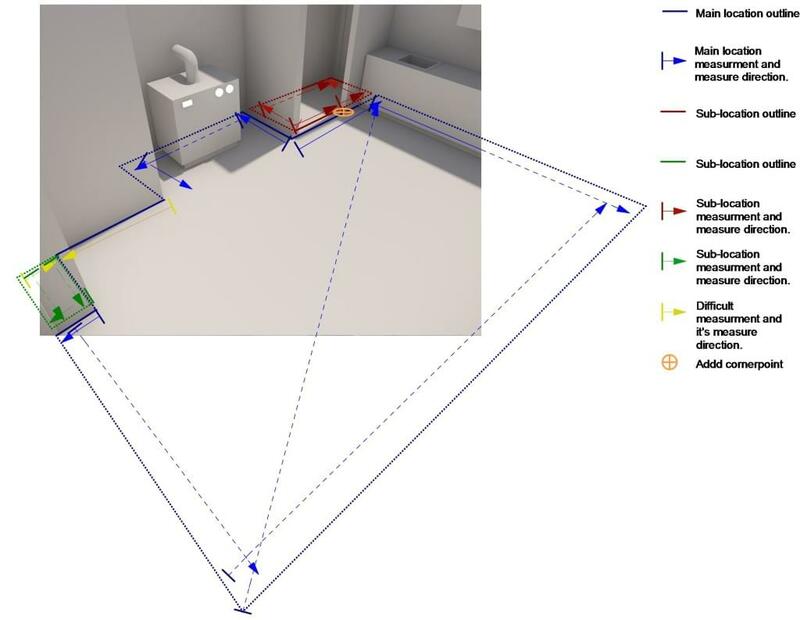 Difficultly shaped rooms may not jump to the desired outline, and might cause distorted data. 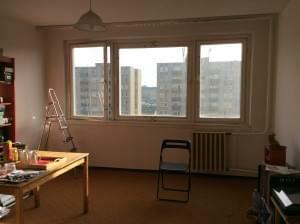 These rooms are usually the corridors or the core rooms of flats. Starting with these will not only make the drawing easier to construct but also makes the drawing more stable for the future rooms. 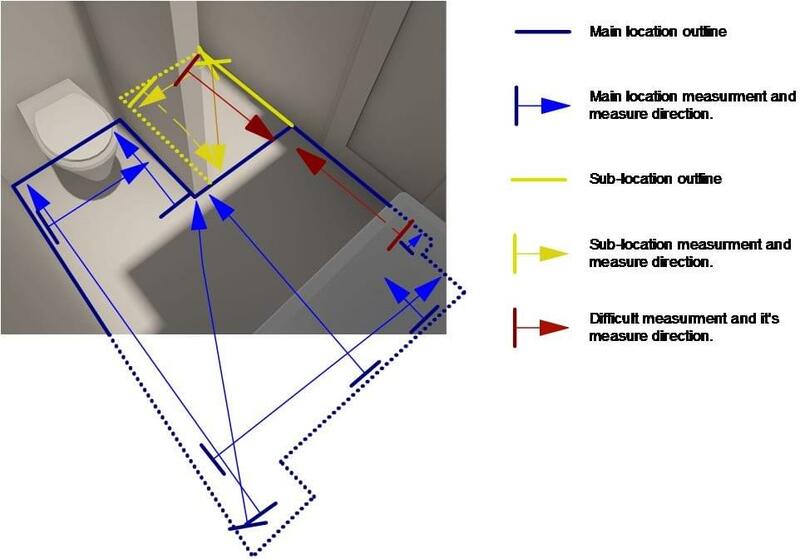 Sometimes, however, these rooms may be very difficult to draw from one location, if such case may occur, try to draw the room from multiple locations. In this particular case, the inner corridor was drawn from 4 different locations. This way instead of one difficult location shape four simple one is created that are easy to measure and reproduce. When dividing shapes always use edges and easily measurable objects in a way that the sufficient number of measurements can be measured. For example, in the first part, there is an edge that lands on the top of the stairs (indicated by the red circle) that doesn’t adjust to any easily measurable point. All other dimensions, however, can be measured comfortably that will set the floating corner to its right position. In the second part, there is a non-perpendicular line that seems difficult because one of its corners is the same floating point that is presented at the first part. Since that corner is already fixed on the drawing with one of the dimensions, you only need two more to get the right shape. The way to achieve this is to measure the longitudinal length, then use the move corner tool to set the approximate position of the corner. Measure the oblique side followed by a diagonal pointing back to the starting position. With this approach, the remaining locations can easily be drawn up and settled. The next step from here would be to start placing openings and the surrounding locations. In most cases that should be the workflow, but the design of the building dictates otherwise. 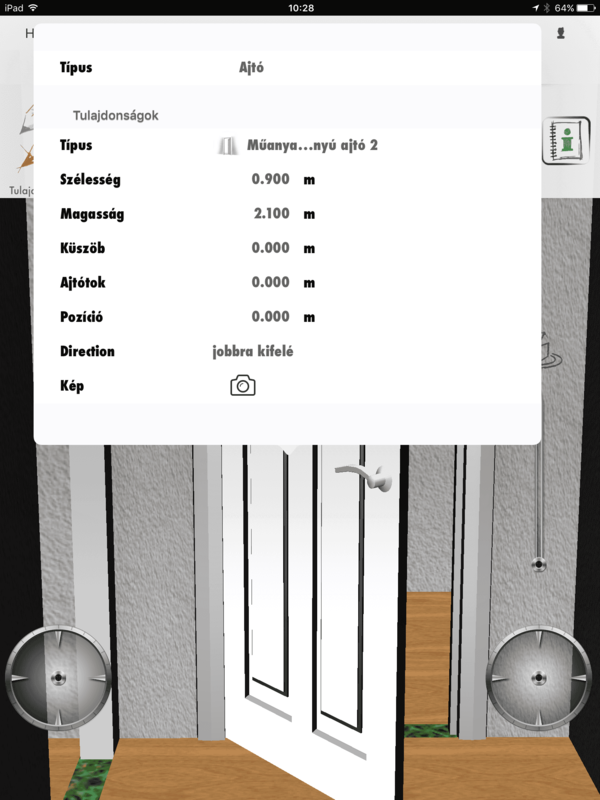 The floating function arrangement makes it easier to just draw and measure each function group of rooms and join them at the end. This makes the corridor/hall part a void-ish space that even comes back during the survey. For this reason, it is advisable to set the drawing into the reference line only option, or set the difficult parts later to this setting with the property tool. As probably mostly done this last step was used in a mixed way. Usually, the Location structure should be the first topic to bring up, as it should be the first thing to set up. Not so long ago, OrthoGarph introduced a preset location structure that makes it easier to handle complicated structures. When the first location is drawn, it is the first room of the first floor of the first building. The significance of this is the idea that locations are not just rooms but also grouping tools. There is a wider hierarchy structure than building->floor->room, but in most cases it’s enough, just like in this example. The reason why this is mentioned now is that pockets, shafts and stand-alone walls require a new location to be created. For example, the smaller bathroom with only a shower has a stand alone wall to separate the shower area. this wall cannot be drawn into the room once it’s already created. To place it there properly requires a different approach. Consider the shower area a different location that is part of the main location, in other words, a zone. 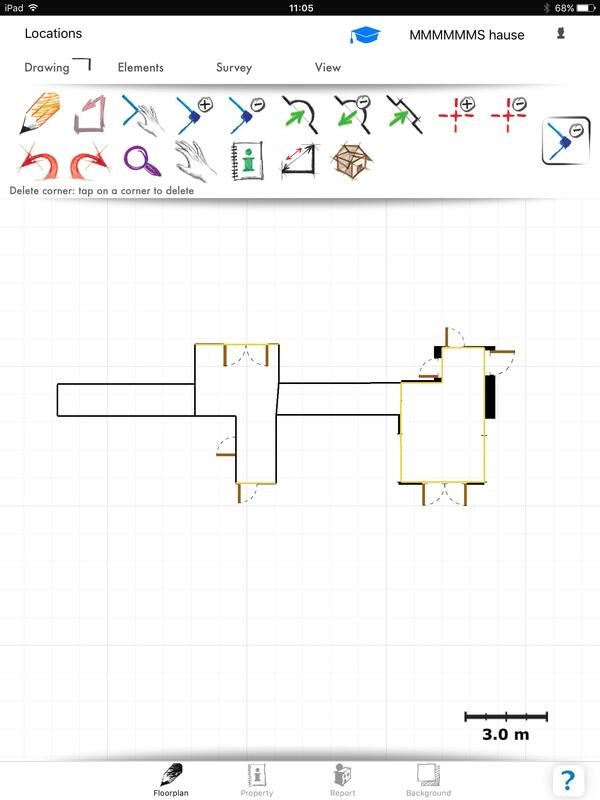 Before drawing anything, the first consideration should be that when and how to connect the room to the rest of the building. Avoid getting spaces closed from three sides, creating a location from them is difficult since the sketch and tap function requires two walls(three corners) to initiate. In this case, as it was mentioned before, the sets of rooms are drawn together and later joint to the corridor part. 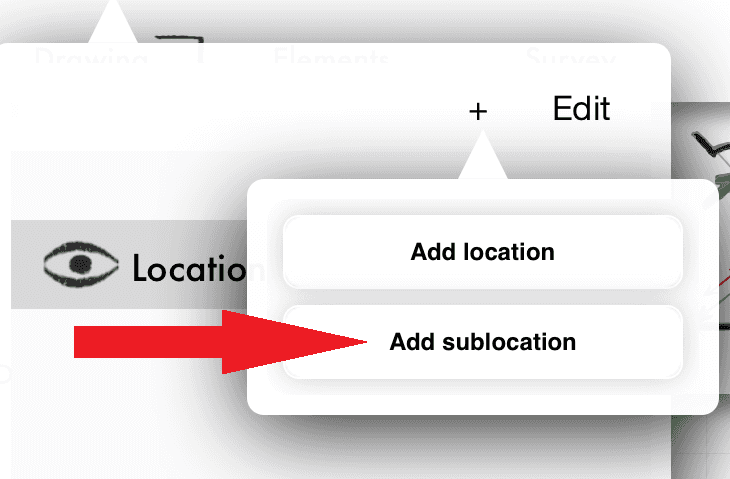 First create the main location, then add a sublocation to it, by simply choosing the “add sublocation” option while the main location is selected. Once the locations are set, it is advisable to think about the measuring as well some wall thickness changes may be invisible even though they are in open sight. OrthoGraph has an implanted measuring direction wich means that the adjustments that will be made to the draw location are depending where, it is measured from. Therefore, it is prudent to measure from areas that are clearly visible. Although it can be made with two separate locations, using a sub-location will give more easily understandable information. For example, if you have a sub-location added to the main location, in the report view the main location will contain all the data from the sub-location. 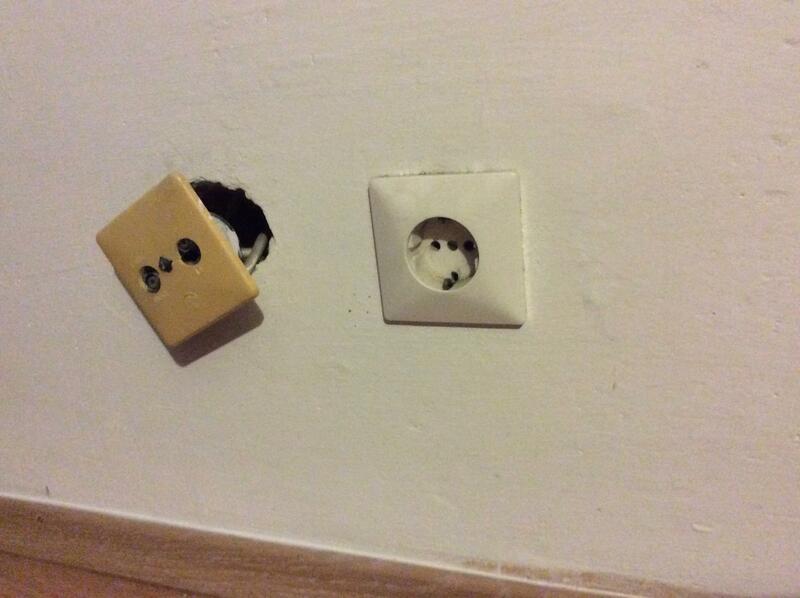 In such case as this one draw the small location first, to make it easier for the measurements and connections to the other locations. 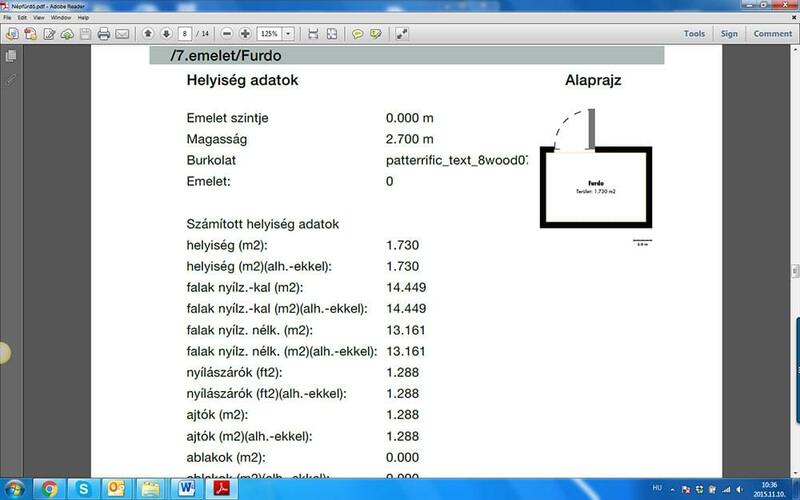 Add the main location and the measurements then use the property tool to hide the non-existing wall. Sometimes it’s better to hide it before measuring. 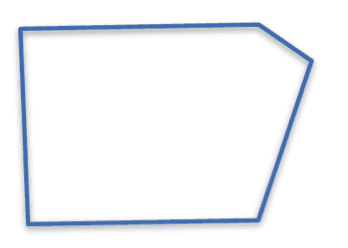 While measuring, keep the measuring direction in mind as it affects how the polygon is pulled or pushed. Smartly measured location may reveal irregularities or gaps that are otherwise invisible. Sometimes the walls are only semi-absent yet do look stand alone, in such cases it’s easier to break up the wall into two or more pieces. The principle is the same as with the previous example, the only difference is the extra step dividing the wall. Wall division is a useful trick during the survey, such as changing the wall thickness, changing the wall height creating measurable points on the wall. The garage, in this case, is one with many parts where wall division proves invaluable. Since it has two smaller areas that are attached, the sketch and tap result may have some difficulties obtaining the right form. In the case of misshaping try with different zoom or different drawing direction. Once the form is set, hide the non-existing walls. The bigger sublocation ( indicated in red) is connected with a wall that is partially there only. Use the add corner button to place an extra corner on this wall, adjust back if it moved out of the wall line. measure the opening ad its distance to the wall using the added corner as the anchor point. 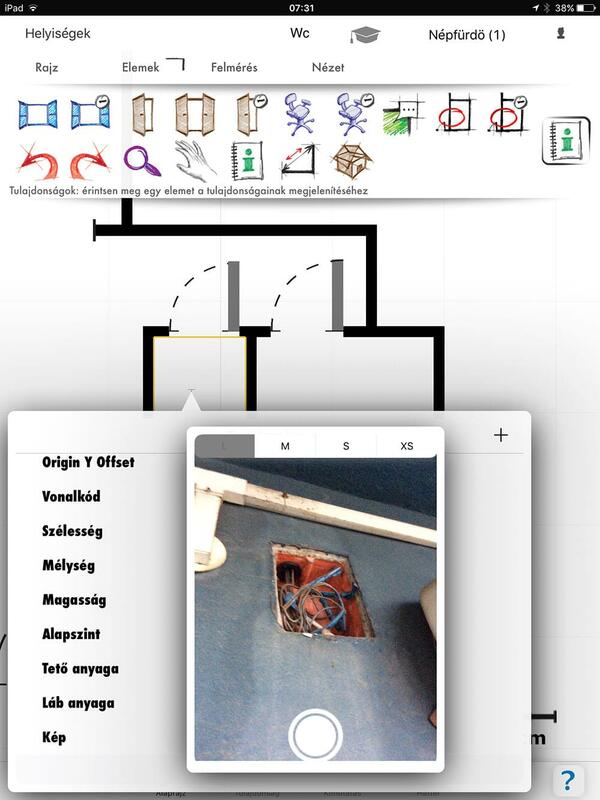 When done, hide the non-existing part of the room with the property tool just the way we did it previously. Alternatively, use an empty opening with the same dimensions ( Keep the height in mind) to produce the same result. In case there is a wall thickness difference along the same wall use the add corner tool the very same way, the only difference being that instead of hiding the wall simply change the wall thickness in the same menu. The rest of the plan uses the same technique all over the building. It may be a bit inconvenient to get one’s head around different drawing methods than using paper and pencil, but once this methodology is mastered it helps producing correct and accurate plans of each building that we survey. Such approach will decrease both the time spent on the field and time spent on the after work. Using a similar way of thinking will help you to find solutions to issues that seem to be too hard to give an exact precise solution.